1. We listen to our students, employers and stakeholders. 2. We prioritise community development to meet local community social and economic needs. 3. We are independent organisations with autonomous governance structures, based in local communities and working effectively with local stakeholders. 4. We are linked through a powerful network through their peak organisation, Community Colleges Australia. 5. We are agile and flexible, able to respond quickly to changing individual and community needs, developing local programs that address local challenges. 6. We have developed efficient business models. 7. We are not-for-profit organisations, unencumbered by the need to produce profit for investors, resulting in a student-centred approach to learning. 8. We are familiar with reinventing ourselves, we are responsive and engaged in an ongoing process of performance improvement. 9. We understand how to work collaboratively with the NSW Government in achieving education, training and employment goals giving eligible local students access to funded training. 10. We frequently work with other government bodies, state, local and Commonwealth, and with not-for-profit, business, industry and other community stakeholders. 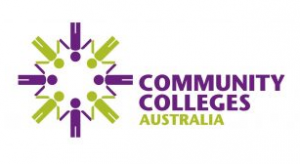 Community Colleges Australia (2018), The Role of New South Wales Community Education Providers in Regional and Rural Economic Development, 25 January 2018, Sydney: Community Colleges Australia. Available at www.cca.edu.au.